The laptops come in different variants and the Yoga 920, Miix 520 sport Intel’s latest Kaby lake processors. The Lenovo Miix hybrid laptop offers a wide range of selections on its variants. 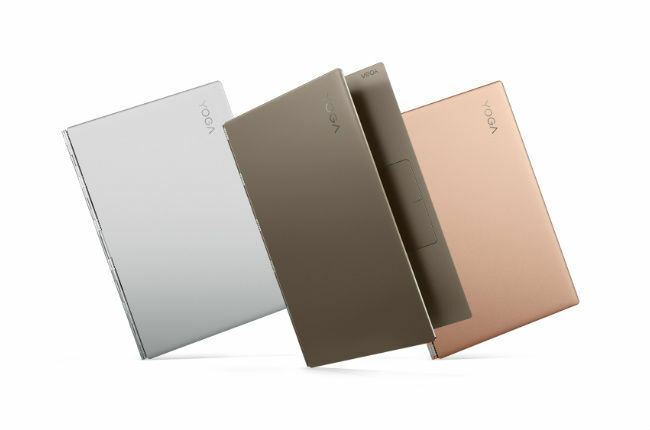 Lenovo has launched the Lenovo Yoga 920, Yoga 720 and Miix 520 laptops at its IFA event in Berlin. All the three laptops come with Windows 10 and are targeted at different user segments, price brackets. Here’s what the latest Lenovo laptops have to offer. The Lenovo Yoga 920 is a 2-in-1 convertible laptop. Its main highlights are biometric security, a digital smart pen, mixed reality virtualisation and far-field technology, which Lenovo claims, enables users to interact with digital assistants such as Cortana from up to four meters away. Lenovo boasts that the Lenovo Active Pen 2 offers a pen-on-paper like precision with 4,096 levels of pen sensitivity. Coming to the hardware, the Lenovo Yoga 920 is powered by an 8th generation Intel Core i7 Kaby Lake processor. It offers upto 16GB of DDR4 RAM coupled with 1TB SATA SSD. The Y920 has Intel integrated graphics and sports a 720p HD fixed focus CMOS camera. For audio, the Yoga 920 sports JBL speakers and Dolby Atmos support for headphones.The laptop features two Thunderbolt 3 ports for connectivity and Windows Hello authentication security. The 13.9-Inch Yoga 920 is an all metal device and comes with the option of a UHD and FHD display. The UHD display variant of the Yoga 920 claims 10.8 hours of battery life, whereas the one with the FHD display lasts 15.5 hours. The Yoga 920 also features a fingerprint reader, backlit keyboard, a watchband hinge and Lenovo Active Pen 2 support. It has a starting price of $1,329 (Rs 84,996 approx directly converted) and comes in silver, bronze and copper platinum colours. Lenovo has also launched a Vibes version of the Yoga 920 which sports a Gorilla Glass Display and an artsy glass substrate on the laptop’s front. The Lenovo Yoga 720 is the company’s mid-range laptop that features a tablet mode and the hinge design similar to the Yoga 920. In terms of hardware, the Lenovo Yoga 720 is available with an i3, i5, or i7 processor from Intel’s 7th generation Core family. The laptop offers upto 12GB of DDR4 RAM and 512GB SATA SSD. 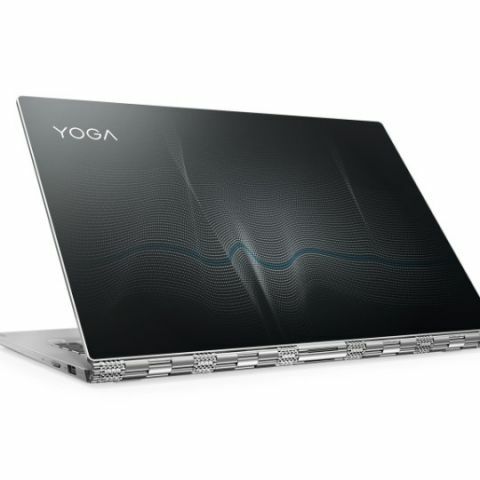 The Yoga 720 sports Intel integrated graphics and a 720p HD fixed focus CMOS camera, similar to the Yoga 920. in terms of audio, the Yoga 720 sports Harman speakers and Dolby Atmos support for headphones.The laptop features one USB Type-C and a single USB 3.0 port. The Lenovo Yoga 720 sports a 12.5-Inch FHD IPS anti-glare display and claims 8 hours of battery life. The Yoga 720, similar to the Yoga 920, features a fingerprint reader, a watchband hinge, Lenovo Active Pen support and a backlit keyboard. It has a starting price of $649 (Rs 41,490 approx directly converted). The Lenovo Miix 520 is a 2-in1 detachable laptop that comes with a slew of options in the processor, memory and storage areas. The main highlights of the Miix 520 are a 2-in-1 detachable mode, which allows the hybrid laptop to transform into a tablet by detaching the keyboard, similar to the Microsoft Surface. 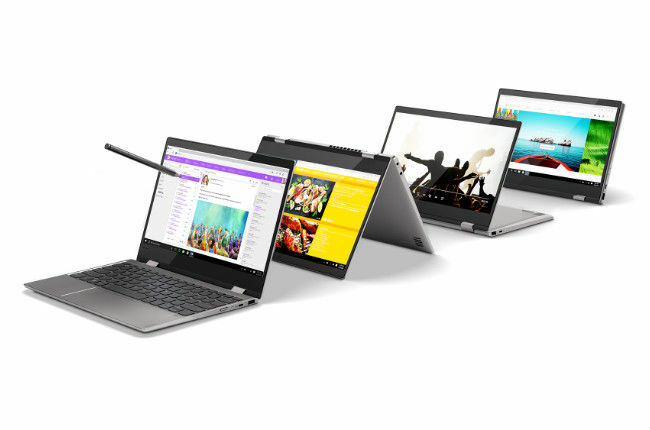 The Mixx 520 also sports an optional LTE connectivity option, an adjustable kickstand and the watchband hinge which is found on the Lenovo Yoga series laptops. The hybrid laptop also gets the far-field microphones. Coming to hardware, the Lenovo Miix 520 is powered by Intel’s 8th generation Core i7 family. The laptop offers upto 16GB of DDR4 RAM and 1TB PCIe SSD. The Miix 520 sports Intel HD 620 integrated graphics for the i5 and i7 variants, and Intel HD 520 for the i3 variant. The Miix 520 houses a 5MP or 8MP rear auto-focus Worldview camera and a 5MP auto-focus front camera. In the audio department, the Miix 520 features two speakers and Dolby audio support along with 2 front and side microphones. The laptop features one USB Type-C, a USB 3.0 port, an SD card reader and a SIM slot. 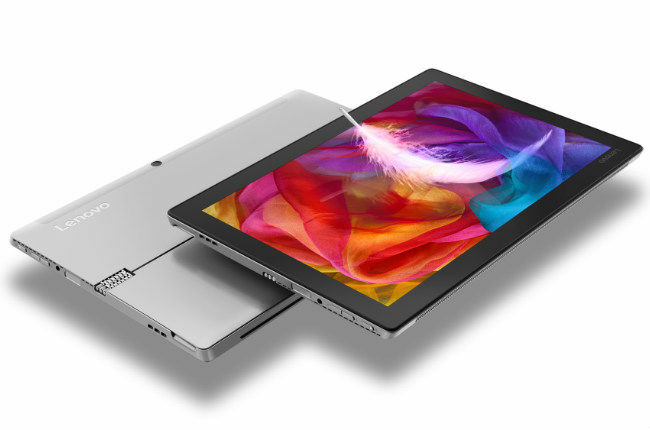 The Lenovo Miix 520 features a 12.2-Inch FHD IPS touchscreen display and claims 7.5 hours of battery life. It has a starting price of $1161 (Rs 74,284 approx directly converted) with keyboard and Lenovo Active Pen 2 included. It will be available in light and dark grey colour options. compare lumina 520 and 525?